Pitch yourself to the largest companies in the commercial real estate sector! Join us for the PropTech Festival, a new accompanying event and contest organized in parallel with the Property Forum 2018 conference. The poll is designed to identify new, innovative real estate technologies, give their creators the chance to present themselves before the CEOs of the largest companies of the commercial real estate sector in Poland and help them attract new business partners. The deadline for submissions is 20 August! Winners will be announced during the Property Forum 2018 and the Prime Property Prize 2018 Gala (17-18 September, Sheraton Hotel, Warsaw). The PropTech Festival is organized by the PTWP SA Group, publisher of Propertynews.pl and Propertydesign.pl, organizer of the Property Forum 2018 conference. The idea. The PropTech Festival is an accompanying event organized in parallel with Property Forum 2018, targeted at the creators of innovative technologies for the real estate sector. We wish to promote creative, innovative, advanced solutions tailored to the exigencies of the future and the expectations of the market and present them to the CEOs of the largest companies in the real estate sector: developers, investors, administrators and renters. The PropTech Festival will feature a series of meetings, discussions, presentations and shows. Come and pitch your idea to potential investors! Who is it for? We don’t want to build barriers – the contest is open to all young companies and start-ups that create innovative solutions for use in commercial real estate, such as offices, hotels, shopping malls, stores, warehouses and public utility buildings. What can you gain? Cooperation and contacts with the representatives and CEOs of the largest companies on the commercial real estate market in Poland: developers, investors, administrators and renters. 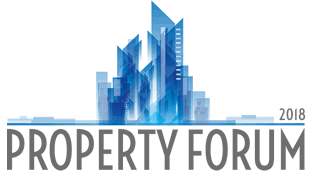 An opportunity to present your solutions at Property Forum 2018, the largest commercial real estate market conference in the region. Online promotion on social media and Propertynews.pl. Instructions. Fill out the application form before 20 August. ENTER THE CONTEST. FILL OUT THE APPLICATION FORM. Wait for confirmation that your application has been accepted. Submitted solutions will be evaluated by a group of professionals from the real estate sector, technology experts and the editorial board of Propertynews.pl and Propertydesign.pl, who will select a shortlist of the top 10 technologies. If you make the cut, prepare a presentation and a booth to display it in the PropTech Zone at the Property Forum 2018. Authors of the top three solutions will receive special awards during the Prime Property Prize 2018 Gala. The PropTech Festival is an accompanying event to Property Forum 2018, the largest commercial real estate event in Poland, scheduled to take place on 17-18 September at the Sheraton Hotel in Warsaw.